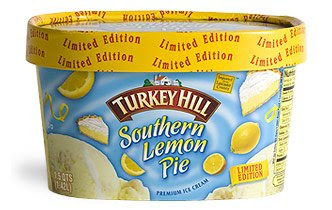 2 of our roving reporters have sent in a quick but very positive review of Turkey Hill's Limited Edition Southern Lemon Pie (regular version, not the fat free version). Technically, this was suppose to be January's flavor, so I'm not sure why there was a fresh delivery to their grocery store in June, but let's not worry about that. Note: This may say "Limited Edition", but I'm pretty sure it's come out every year since I started this blog in 2008. 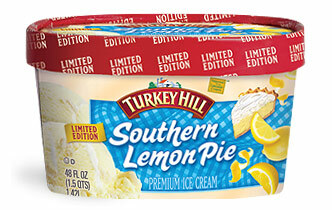 I know the Southern Lemon Pie is limited edition but my family loves it. can you tell me what stores in northern Virginia I can still possibly find it.